Available from the end of April until the end of Oct, 7 days a week. Out of season officiant, too. Want a wedding that's Romantic, Private, Intimate and Unique? Dream of a destination wedding but want to skip the travel and expense? 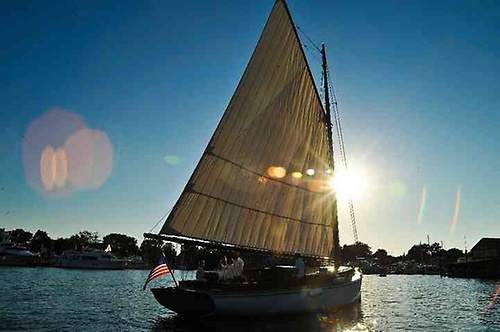 Weddings aboard the historic sailing yacht ''Selina II'' in the quaint Chesapeake Bay town of St. Michaels, MD offer all the benefits of getting away at a fraction of the price. 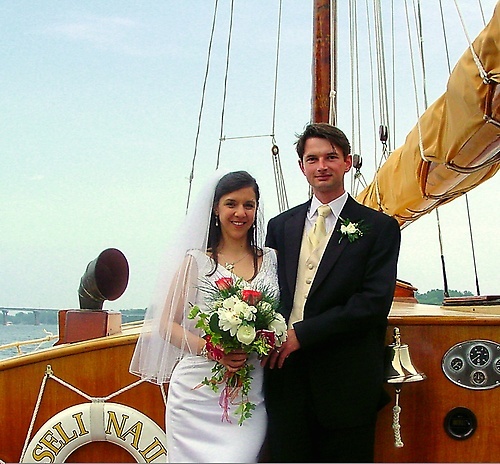 For people who love the water, weddings aboard ''Selina II'' offer a unique venue for tying the knot. 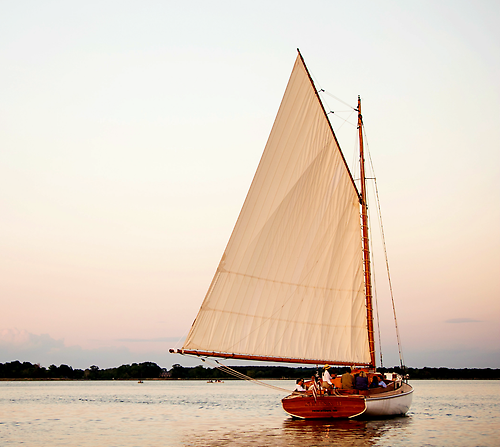 The only historic sailing vessel on the Eastern Shore specializing in ship board ceremonies, this 1926 yacht provides an intimate setting for a ceremony at sea. 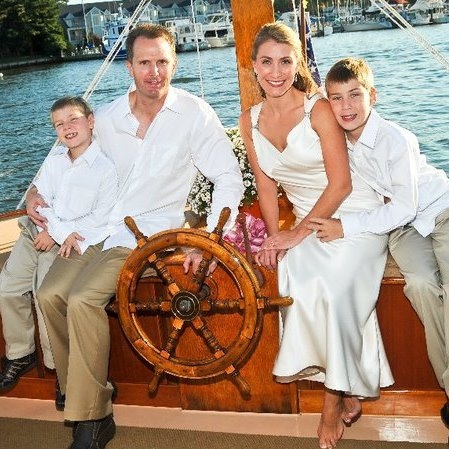 Operated by the granddaughter of the original owners, 3rd generation Capt Iris Clarke officiates aboard the ''Selina II'' wearing formal whites to complete the nautical theme. 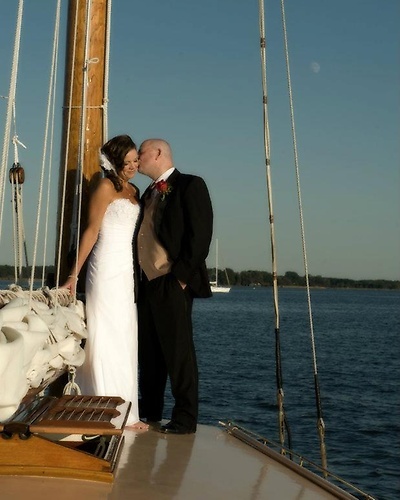 Typically ships' captains are not permitted to perform weddings, but onboard the ''Selina II'', Capt Iris Clarke is also an ordained minister, allowing her to offer you a customized ceremony from traditional to alternative, creating your own personalized Love Boat experience. 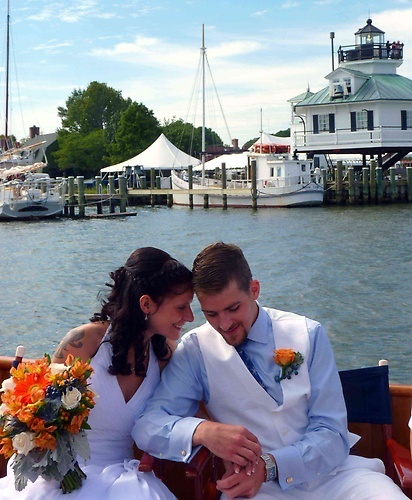 Whether it's a ''Ceremony Under Sail'' (up to 6 guests) or a ''Wharfside Wedding'' (up to 50 guests), Selina II packages include Decorations, Ships Flowers, Champagne Toast, Customized Vows, Officiant Fees & MD State Taxes. Brides can choose from an array of ceremony enhancements including Photography, Videography, Wedding Cake, Music Program, etc. 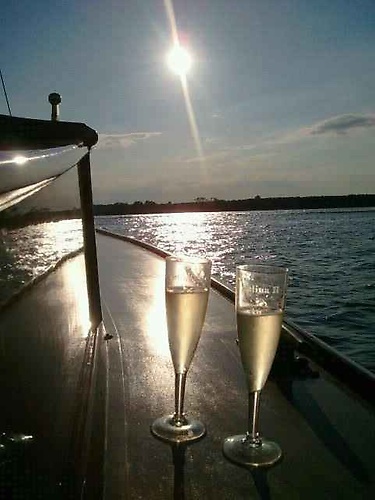 Available end of April thru end of October 7 days a week.Capt Iris is also available to officiate out of season.